When it comes to bridal portraits, there are many different approaches a photographer can take. Of course it is extremely important to make the shot flattering and gorgeous, but it also must be unique and suit the personality and style of the woman in front of the lens. A portrait of a bride from the waist up can include many different aspects: The hairstyle, the veil, the makeup, the bouquet, the jewellery, and most importantly, the dress. 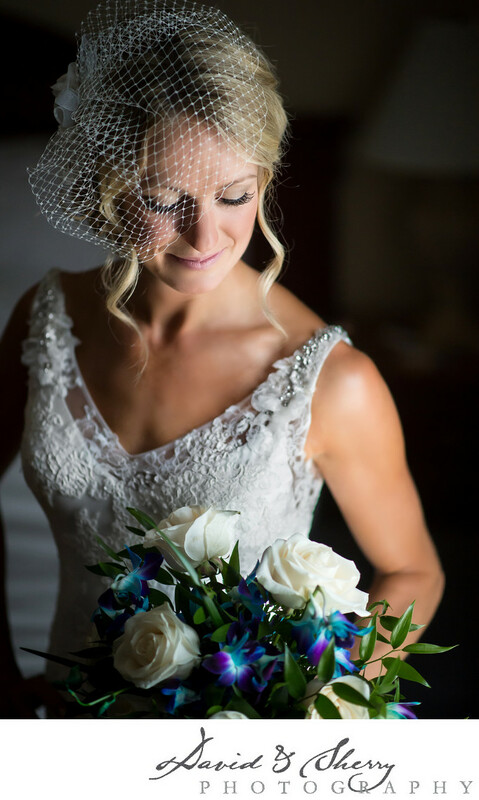 All of these things are what make the look exclusive and unlike the rest, which is why it is so important to highlight them in a stunning bridal portrait. Often times, we do these shots before the ceremony when the bride’s look is complete and the finishing touches are done. Window lighting is a wedding photographer’s friend when it comes to shooting a portrait, because it gives a more natural and soft look to the model’s features. There are also a variety of ways in which window lighting can be used. In this particular photo, the bride-to-be was next to a large window at the Vancouver Club in British Columbia. What I enjoy the most is the Rembrandt look of this shot, and the way the light calls attention to the bride’s breathtaking features. The Vancouver Club's elegance and urban feel is matched in the unique timelessness of this bride as the history of the building and their unique rooftop patio always plays host to beautiful wedding photos. The Grand Ballroom is a fantastic indoor space with the same class and style. You can contact Katie Briscoe, their in house wedding specialist to make your wedding awesome. Location: 915 W Hastings St, Vancouver, BC V6C 1C6.